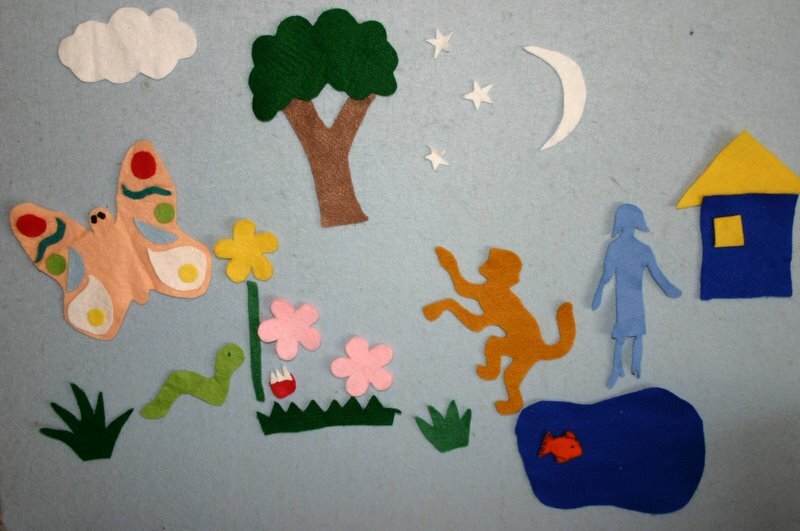 Felt boards are an excellent independent activity. They make great table activities (although usually they use it up against the wall rather than actually at the table) and if you have a small version can also be used for highchair time. They require no special skills and are completely open-ended. 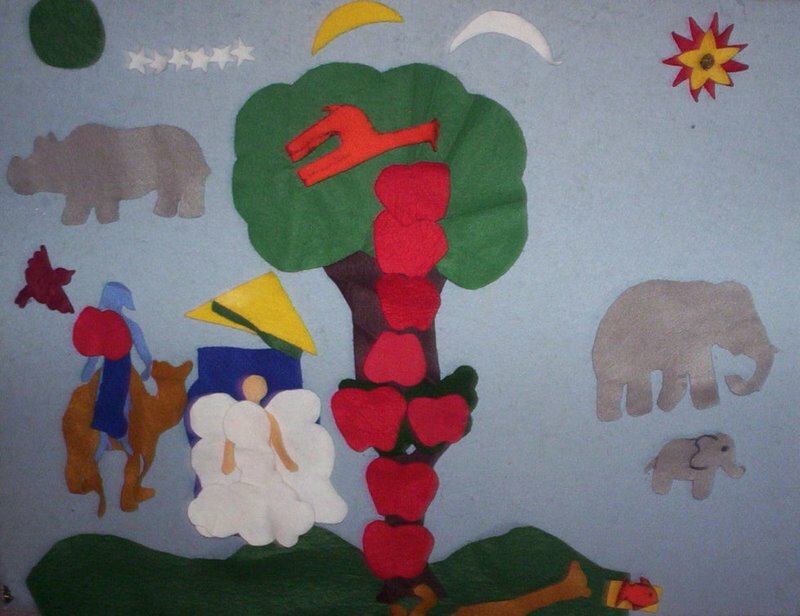 Language development is enhanced as children create and tell their own stories using the pieces provided and they will keep a child’s attention for an extended period of time. 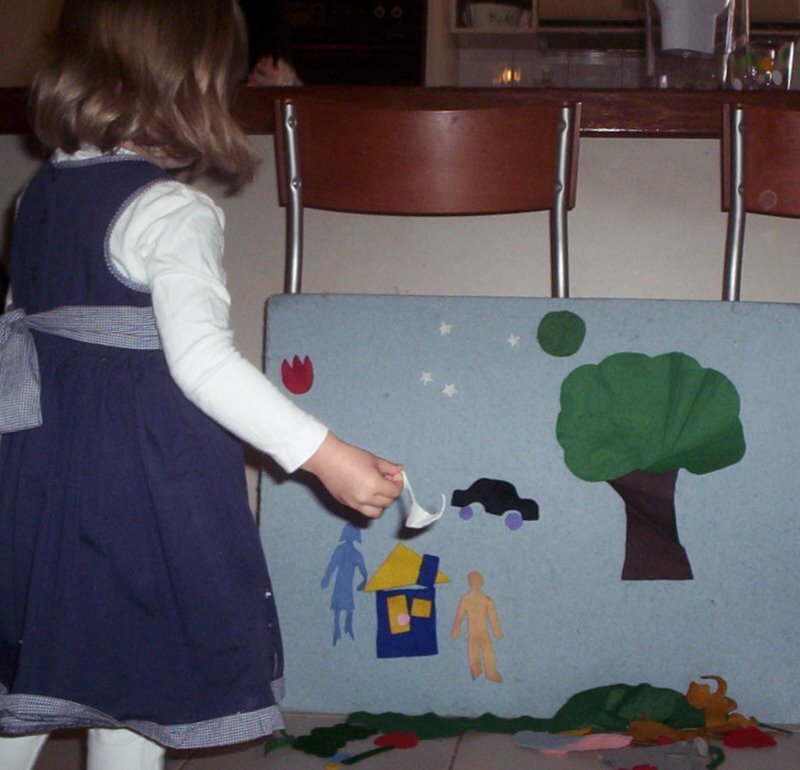 The children in my family have enjoyed using the felt board and still choose to do so even as they grow older. I made this felt board at Uni as a mini assignment and almost failed because the lecturer thought it was too big to be easily portable!! Now I use it all the time and love the fact that it is large enough for one child to set up a large scene or even for two children to play side by side. To make a felt board, all you need is a very light piece of plywood or very strong piece of card. Box card is no good as it usually has corrugations and will tend to crease along these. Mine is strong card and has stood the test of time, although the corners are getting a little dog-eared now. If I was making it again I’d go for thin, light wood. Buy a large enough piece of felt to cover the board, with enough overlap to stretch around and glue (hot glue gun is ideal) to the back. Basic colouring books are a great source of simple shapes that you can trace and transfer onto the felt pieces to cut out. I also have several sets of felt figures that go with specific stories which allow the children to re-tell these favourites to themselves. It is helpful to have the board on a slight lean to help the pieces to stick and some people even stick Velcro dots (hook side) on the back side of each piece for extra grip. That’s it! Easy to make and hours of play for your child. As with most of these activities, start simple. Put out a few basic shapes to begin with, or just the garden pieces, or animals and fences etc. 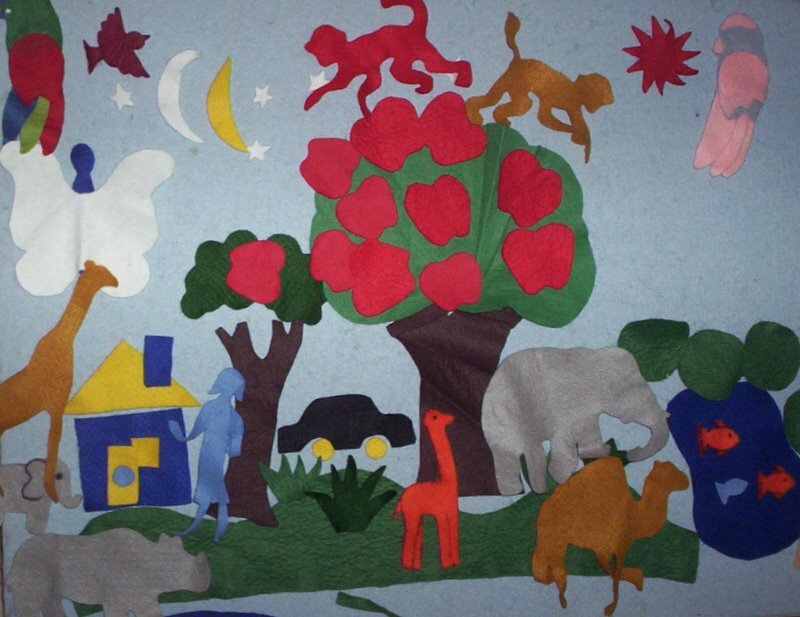 Older children like to have them all at once and create complicated scenes but the toddlers will be more focussed with less to choose from and rotating pieces to keep their interest levels high.